Work in teams to discuss, reflect upon and develop solutions for problems that affect them and their peers in the community. Develop mentoring relationships with adult community leaders. Learn about Howard County’s government, businesses and services. The application process for the Class of 2019 is now closed. Information sessions for the 2020 program will be announced in the fall and scheduled for early 2020. A week-long summer program of team building, leadership skills development, tours of county facilities and identification of issues affecting youth in Howard County. A fall session focusing on community service projects created and implemented by the students. Program cost: $965 (2019). Tuition assistance is available, which must be requested at the time of application. Payment plans are available. 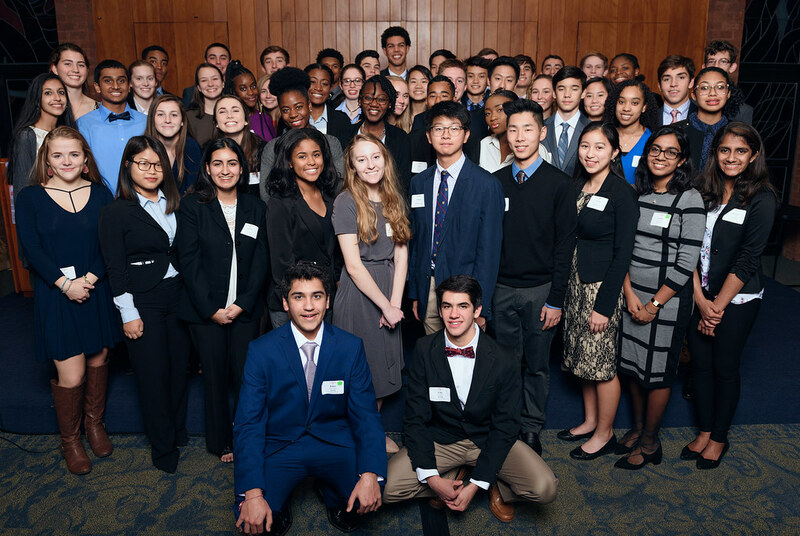 Leadership U is open to high school juniors who live or attend school in Howard County. Students may attend public or private school. Home-schooled students are also welcome. To be considered, students must apply during their sophomore year. Students must have a desire to learn about their community and a willingness to volunteer. LU is a great way to meet new people from different schools who share similar interests in knowing more about their community and who want to make a positive impact. The program kicks off in July with daily team-building sessions and learning activities and continues with bi-monthly fall meetings. The Leadership U schedule works for many busy students, even those who have fall sports or other activities. Leadership U graduates are encouraged to remain involved in the program by acting as student mentors to new Leadership U students and by spearheading their own community activities following graduation. LU graduates often continue their community service through active volunteering, school leadership roles, and advisory board positions. In the past, students have served on the Howard County Commission for Women, Student Member of the Howard County Board of Education, Police Advisory Board, Howard County Public School System Advisory Groups, #One Howard, and various nonprofit boards. These student leaders provide a valuable youth perspective in these unique roles. LU graduates also have participated in internships with the Howard County Government (including the County Executive’s Office), Howard County Council, and the Maryland Center for Entrepreneurship. Many have also found their expanded leadership capabilities valuable as they transition to college and other future endeavors. The application process for the Class of 2019 is now closed. Information Sessions for the 2020 program will be held in early 2020 (dates to be announced in the fall of 2019). Applications and reference forms will be available online for current high school sophomores by mid-January 2020 and due mid-March 2020. Personal interviews will be scheduled after application submission and students will be notified of their acceptance in May. The program begins in the summer preceding the student’s junior year. Interested in Volunteering with LU? If you enjoy working with high school students and want to help a motivated group of students make an impact on their community, please consider getting involved with Leadership U. As part of their leadership development, students work in teams and design their own community service projects. Adult mentors work closely with the teams, helping guide their efforts to produce valuable contributions to the community. Our teams of bright, energetic and dedicated teens meet twice a month on Sunday afternoons (from 2 – 4:30 p.m.) for 9 weeks, from August through December.